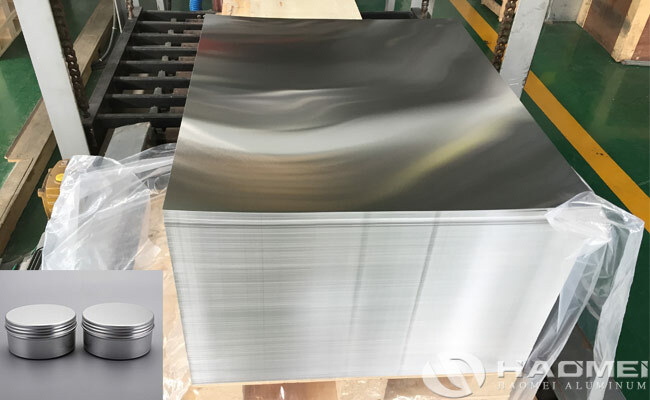 Aluminum coil and sheet for closure pp caps 3105, 5182 and 8011 alloy can be sued for processing cosmetic, wine, milk powder, tea caps, etc. For the processing of closure pp caps, there are high requirements, such as surface and plate shape of the material and stamping properties. Aluminum closure caps are very advantageous in terms of sealing and aesthetics. Therefore, the market for aluminum pp caps will be better and better. The cost of plastic caps is about double or even higher than that of aluminum caps. In comparison, the aluminum anti-theft cap can overcome the above-mentioned shortcomings of the plastic caps. Application: mainly used in the fields of wine, beverages, cosmetics and other bottle cap packaging. 1: Width and thickness tolerances are executed according to the requirements. 2: The surface is smooth, free from cracks, bubbles, penetrating pores, metal and non-metal indentation, and light and dark stripes. 3: During the rolling process, the surface quality is checked for each coil of the finished product. 4: Strictly guard the quality of the cut sheet to ensure that there is no burr, knife back, and ruffle.